Crosell & Co. offers a fresh approach for your home and lifestyle where you will find a curated selection of artisan-driven products for you and your home. You will find the largest selection of items from the top designers in tableware, gifts and jewelry in Chicago. You will also find unique items from artisans from around the world, only available here. Crosell & Co. provides the perfect backdrop for inspiration, learning and exploration in modern-day gracious living. Our passion is making the most of your home - love it, it’s your sanctuary, fill it with the things you love. We can give you a few simple creative touches to transform any get together into a memorable occasion - our goal is to inspire others to entertain at home with style and ease. You don’t even have to cook – just have fun. Human connection is the most vital part of our existence. Stop in and experience what shopping should be – the finest selection, the friendliest service, and the inspiration for you and all your gift giving needs. We offer complimentary gift wrapping and can ship anywhere. Not in Chicago, please give us a call or email us and we will be glad to assist you, we are here to help! If you don’t see what you are looking for, we can order it for you. This month we are featuring this new kitchen collection by Mackenzie-Child’s. 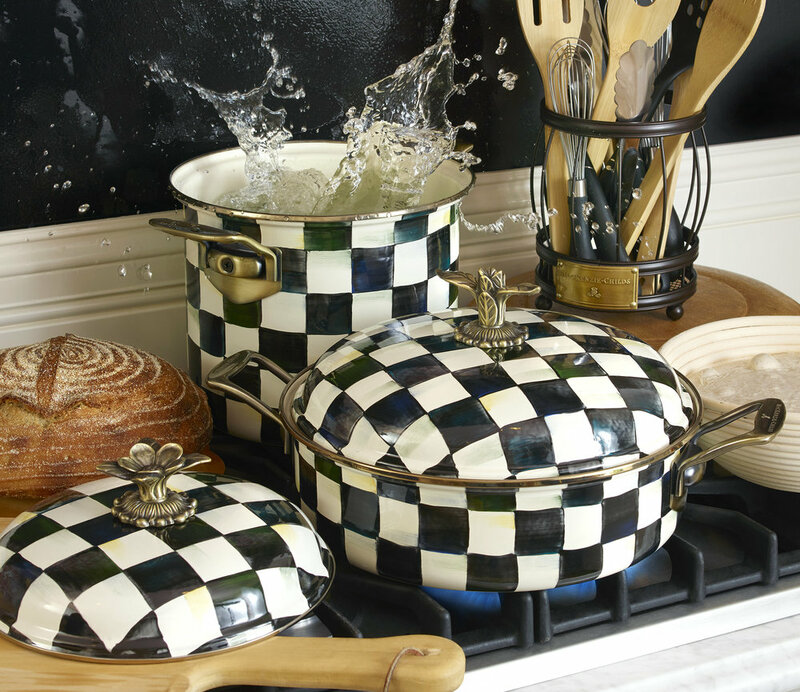 Mix and match your pieces with your kitchen decor.